Have you ever wanted to try your Ninja or Leap Frog skills? Well, have we got the game to show you! With the Leaps & Bounds interactive course you’re going to get your chance. 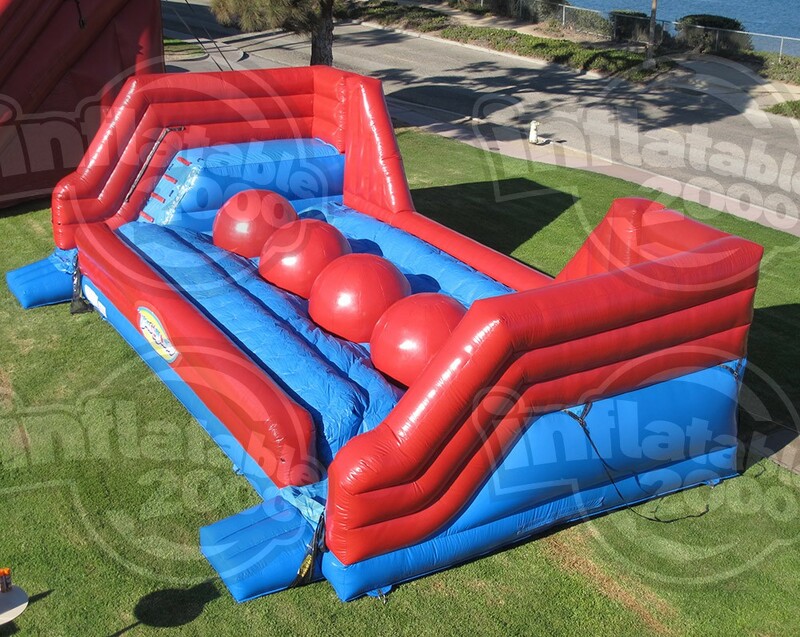 This game features a series of four giant inflatable balls which challengers must leap across to reach the other side. Climb up the ladder on one of the side platforms high above the biggest ball pit you’ve ever seen. 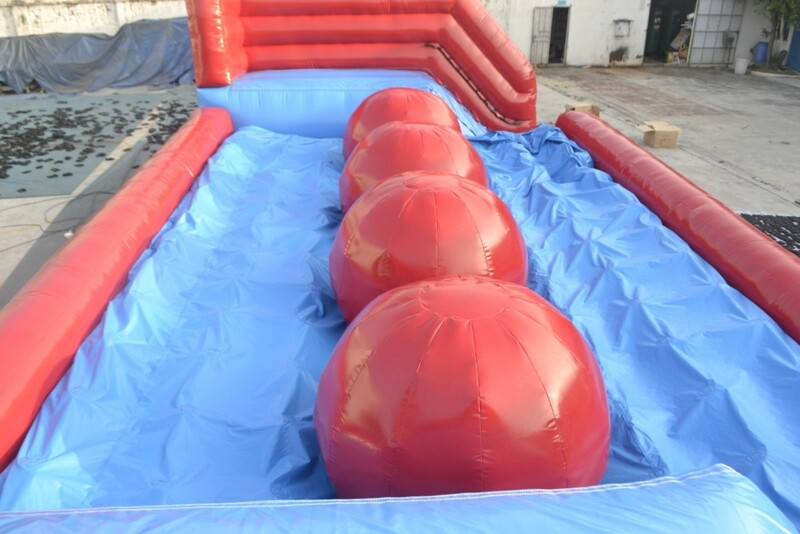 Then try to cross the course by leaping from ball to ball like a frog or running across the giant balls to make it to the other side! But don’t worry if you fall off, the floor of the pit is protected by our super-soft zero shock landing cushion featuring air bag technology. This unit is massive at 39 feet long, 21 feet wide and 12 feet tall. This is the inflatable interactive to take your event to the next level of WOW in Lakeland, Winter Haven, Bartow, Auburndale and all other Polk County locations.